When thick smoke and ash from the Camp fire blanketed the Bay Area last November for 12 days, N-95 masks flew off of store shelves, and journalists, politicians, and pundits labeled California's latest wildfire disaster, "the new normal." Then-Gov. Jerry Brown called it, "the new abnormal." Indeed, one inferno after another has left scores of Californians dead since the turn of the century. As climate change worsens, most of California now dries to a crisp each summer, and wildfires are an unavoidable element of the environment. Plus, the state's human population is exploding and continuing to move into wildland areas, creating more opportunities for fires to start in the first place. But California's increasingly hot and arid climate and its changing demographics aren't solely to blame. Since 2010, when a gas line exploded and killed eight people in San Bruno, politicians and consumer advocates have increasingly pointed the finger at Pacific Gas & Electric Co. That 2010 incident resulted in a $1.6 billion fine for PG&E in 2015 and two years later, six felony convictions when a federal jury found the company guilty of intentionally bypassing safety protocol when maintaining its pipelines. But that deadly blast, and the shaming and scolding PG&E received from state regulators and media, hardly motivated the company to regain the public's trust, and in the years since, its public safety record has crumbled. According to state investigators, deferred maintenance on PG&E's electrical lines and slack efforts to cut back vegetation resulted in the 2015 Butte fire and at least 17 fires in 2017. Now, evidence shows that failed aging electrical equipment also likely caused last November's catastrophic Camp fire, which destroyed the town of Paradise, killed 86 people, and has prompted a class-action lawsuit against the utility that could render it liable for tens of billions in damages and has forced it into bankruptcy. PG&E's unbroken pattern of negligence, lies, and disasters also is prompting serious questions about whether there is a safer way to provide gas and electricity for California's residents, millions of whom live scattered across rural, wooded areas. While PG&E has claimed that the changing climate, by causing higher temperatures and gustier windstorms, is making it impossible to safely run an electrical grid, some critics say PG&E's own actions are more at fault. Already, their calls for radical changes in the company's structure seem to be producing results. PG&E replaced three top executives in early January, on Jan. 13, the company's CEO resigned, and on Jan. 29, PG&E filed for Chapter 11 bankruptcy protection, which will allow the company to keep operating while it devises a plan to deal with its massive debt. But state Sen. Jerry Hill, D-San Mateo, whose district includes San Bruno, wants sterner action. "I think some of PG&E's executives should possibly go to prison," Hill said in early January, days before the replacements. 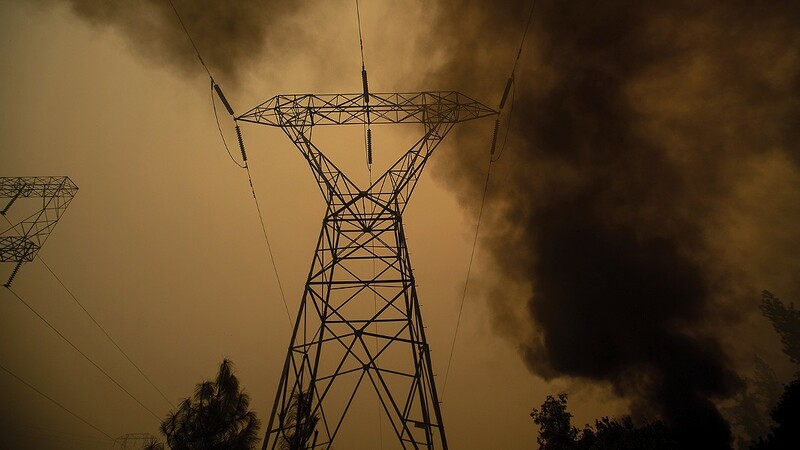 Amid a storm of criticism and blame, PG&E insists its chief priority is safety. "PG&E's most important responsibility is public and workforce safety, and we are committed to providing safe and reliable energy that our customers expect and deserve," wrote Paul Doherty, a PG&E spokesperson, in an email. That's what PG&E has been saying for years, of course, and not everyone believes it. Now, even the California Public Utilities Commission — widely accused by critics of going too easy on PG&E — is bullying forward. In December, the regulatory commission presented a laundry list of possible actions against PG&E, with the explicit goal of reducing risks of yet more devastating wildfires. One idea is to divide PG&E's energy production and its energy delivery sectors into separate companies. The CPUC also has proposed dismantling PG&E into multiple entities, as well as reshaping it into a publicly owned utility, like the East Bay Municipal Utility District, Alameda Municipal Power, and the Los Angeles Department of Water and Power. This could give the people of California more control over PG&E's management decisions and procedures and, perhaps, ultimately save lives. But CPUC President Michael Picker questioned in a December press statement whether "any of the proposals provide Northern Californians with safer natural gas and electric service." They might not. UCLA professor of ecology and evolutionary biology Jon Keeley argues that the increasing concentration of humans on the landscape is the underlying culprit behind the overall uptick of wildfires in California. "Climate change is exacerbating the problems, but population growth is a more direct cause," Keeley said, explaining that more people living in wildland areas means more potential ignition sources. Still, many lawmakers, officials, and activists think utility companies could, if they had the will, be operating relatively safe electrical grids. "The fact is, there are state laws on managing vegetation around electrical lines, and PG&E is failing to meet those minimum standards," said state Sen. Bill Dodd, D-Napa, who has called for a replacement of PG&E's executives but also authored legislation that could provide a cash handout to PG&E if it begins to buckle under financial stress. One explanation for PG&E's habitual disregard of the law could be its financial structure: Shareholders own stock in the company. Activist Jamie Court, president of the group Consumer Watchdog, thinks this arrangement corrupts day-to-day operations and obligations. "They care more about profits than public safety," he said, "and it makes sense that a publicly owned PG&E would care more about homeowners and the ratepayers who are endangered by fires." Court wants to see PG&E gutted and entirely overhauled, and he said he hopes Gov. Gavin Newsom will help drive this change with strategic replacements and appointments of public officials.